› iAdControl Blog › Why businesses without a web presence are missing out? So surely a website that is accessible by a worldwide audience that are out of your area is a waste of money, right? Well, wrong, actually. In fact, this misconception amongst small to medium-sized business is the reason why businesses who are online are gaining ground that far surpasses their competitors and if you’re not online, you’re missing out. There’s no better way to demonstrate how much small to medium sized businesses could be missing out on than by checking out a few statistics. "82% of small business owners have said their main source of new business is referrals." (Constant Contact, 2013). Still not convinced? Well if your business is serving a local area then how about this statistic for size? "88% of consumers who search for a type of local business on a mobile device call or go to that business within 24 hours." (Google Mobile Movement Study, 2011). These statistics show that it is essential for any SME to be online and there are 52% of such businesses that are currently without a website. The fact that so many companies are in the dark as to how effective being online can be is an opportunity for you to gain unparalleled competitor advantage. By establishing your new web platform online you can connect with new customers and be found by the 44% of people who undertake online searches in your area (Interconnected World: Shopping and Personal Finance, 2012) whilst your competitors remain blissfully unaware as to just how much ground you’re gaining. An additional issue that many small, medium and even some large companies may be suffering from without even being aware of it is having an online marketplace that isn’t suitable for mobile and tablet viewing. 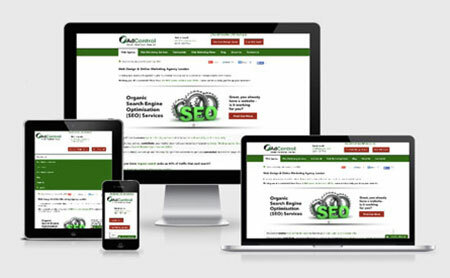 At iAdControl, we produce clean mobile friendly websites that display and resize wonderfully, no matter what device they’re viewed on; and with so many people searching for local businesses being web and mobile adaptive is essential. Your business website doesn’t shut at 5pm or over the weekends, it is a virtual storefront that is working for you around the clock, 24 hours a day, and 7 days a week. Are you ready to share your business’ story online? iAdControl are a Bespoke Web Design & Digital Marketing Agency in East London. We design, develop and deploy effective web presence that has an optimal viewing experience and fully editable so that you can make the most of your website in the future. We’ll arrange your domain name, help you with hosting your website and empower your online visibility through digital marketing. Offer ›› So if you’re considering purchasing your own website then get in touch for 10% off our Web Design Services.